What comes out of the camera…. When I was living in Utah with my mom, stepdad, and six other children, we rarely ate as a family at the table. In fact, in thinking back on those three years, I can’t ever remember us eating together as a family. That might explain why I stole so much food from the Food King right across the street. My friends were stealing toys; I was stealing food. When my wise old grandmother adopted me, my youngest uncle (we’ll call him Doug since that was his name) was still living at home. Although he was in college, he knew that if he wanted to eat, supper was served at the dining room table at 6:00 p.m. Breakfast and lunch usually were served at the kitchen bar since everyone had different schedules for the day. But if you missed supper at the dining room table at 6:00 p.m., you pretty much starved until the next morning. 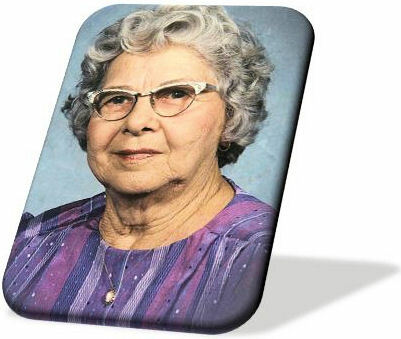 It only took twice to realize that my wise old grandmother was serious…. After breakfast and through mid-afternoon, the dining room table belonged to my wise old grandmother. She would cut out patterns for the clothes she made, write letters to family and friends, read the newspaper, and, most important to her, put together her scrapbooks and photo albums. Doug always found it funny how my wise old grandmother would create her scrapbooks and photo albums because there wasn’t a full-size picture in any of them. All of her pictures got cropped to meet a specific purpose that she had in mind. Cropping back in those days meant using the scissors to cut away parts that weren’t needed, and sometimes to cut out a person, a car, or a building. Doug constantly was making fun of her but she never backed down. She knew what she wanted, she knew what she had to do to create what she wanted, and that was that! What comes out of the camera is just the basics to start with. In today’s world, Photoshop is our scissors and our lightroom. No need to make a mess on the dining room table or get sick inhaling all the chemical smells in the lightroom. Just make a plate of nachos, grab a beer, put the cat on your lap, open Photoshop, and get started. I am always after better or more time-saving ways to work in Photoshop, so I check out new software that comes on the market. Recently one of my favorite software companies, Topaz Labs, released a new plug-in for Photoshop, Topaz Restyle. 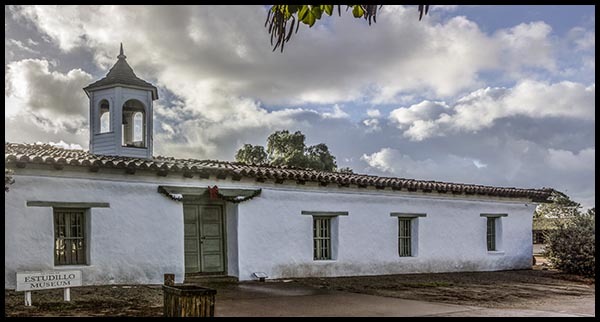 Following is a picture of the La Casa Estudillo Museum in Old Town. You’ll see and read more about it in an upcoming blog post, probably Saturday. The original picture was taken at 8:14 AM on December 13, 2014. The Topaz Restyle picture also was taken at 8:14 AM on December 13, 2014, since they are the same picture! 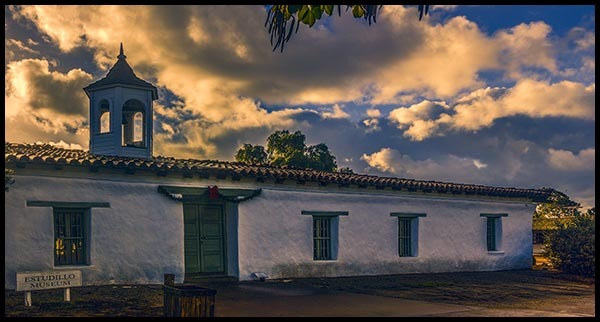 The second picture certainly looks like it was taken at dusk the way the sunlight is reflected in the clouds, on the ground, in that left window, off the museum sign in the lower left, and off the exterior walls. Even to the right of the museum, it looks like the sun is shining a little more brightly over there, maybe because there were no trees providing any shade. I love the Topaz rendition. I think it adds depth to the picture—look at the clouds through the arches in the bell tower—and a great deal more interest. The Topaz Restyle plugin normally is $59.99 but you can get a $20 discount on it through the end of February by using the discount code FEBRESTYLE at checkout. All Topaz software has a free 30-day fully functional trial, so hop on over there, check out what they have, and let me know what you think. 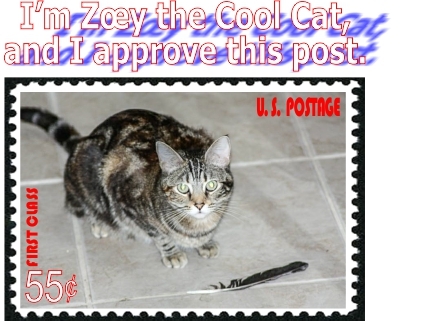 Sadly, Topaz has not paid me for this testimonial…. This entry was posted in Adobe, Digital photo editing, Halls of History, Historical Landmarks, History, How I Did It, Manmade, My wise old grandmother, Photographic Art, Photographic Art @ Fine Art America, Photos and tagged my wise old grandmother, topaz labs, topaz restyle on February 12, 2015 by Russel Ray Photos.